Shirdi Sai Devotee Uma Vaidyanathan From India Says: Dear Pooja Garg, I am Uma Vaidyanathan from Belapur, Navi Mumbai, Maharashtra. I was introduced to Mahaparayan by my friend Bhuvana. I started reading it every Thursday. Initially, I had lots of problems and many time thought of discontinuing the reading. But the very thought that I will be the cause of breaking the efforts of many people from all over the world, I continued. The first sign Baba showed that if I have faith in Him He will not disappoint me came when my daughter’s marriage went off very well and all praised our efforts in conducting the function in a grand manner. Last month, I received a call from one organisation named Indian Organisation of Mass Communication that I was selected as one of the recipient of the award for 'Daughters of Navi Mumbai.' I did not believe the call as I have never heard the name of the Organisation. But they asked me to send my photo along with a small write-up about my voluntary activities. I very reluctantly sent them after great persuasion from their part. Yesterday April 7, 2018 I was awarded as one of the Daughters of Navi Mumbai. This all happened due to grace of Sai Baba. I have been working in the social field for past 30 years but recognition of my hard work came after I joined Mahaparayan. I am thankful to all of you for including me in the group and guiding me. I am blessed that Baba gave me the opportunity to do the Mahaparayan. Thanks Uma ji for sharing your experience which would really encourage and boost up faith of many people and especially of those doing Mahaparayan. Very true Mahaparayan is a blessing in kaliyug which will help us to march on the path towards Saiyug. Baba will sooner or later would definitely shower His immense blessings and reward His children and their efforts according to what they deserve. Love You Sai Maa. Jai Jai Ho Sai..! Congratulations and many more Blessings to follow in future for sure.Om Sai. 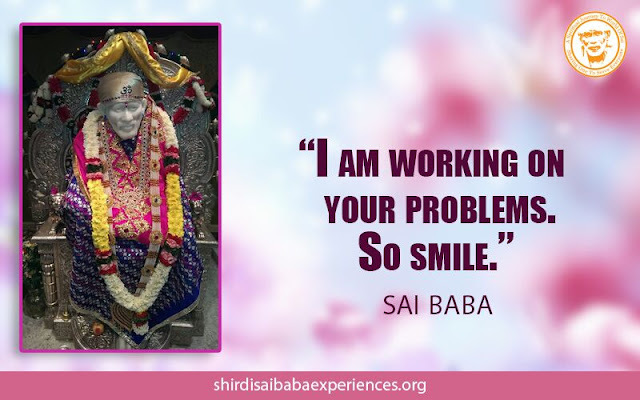 I have been reading Sai Sat Charita in English for the last eleven years and the emotional transformation has been tremendous and all efforts get materialised effortlessly.It pure Patience and Faith only that allows us to succeed in every endeavor called Life.